Amazon.com Price: $69.49 (as of 2019-04-22 02:34:32 GMT) Product prices and availability are accurate as of the date/time indicated and are subject to change. Any price and availability information displayed on Amazon.com at the time of purchase will apply to the purchase of this product. 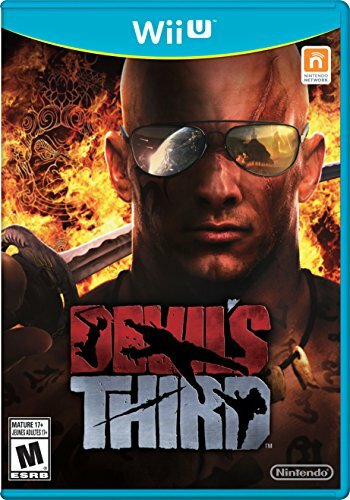 From famed Ninja Gaiden designer Tomonobu Itagaki comes an east-meets-west blend of ninja-style melee combat and modern gunplay oozing with savage action. Wage fierce fortress combat in a unique, clan-based online multiplayer mode. Or go it alone as Ivan, a brutal ex-mercenary, and survive his all-out war of vengeance. For a guitar. Original gameplay that seamlessly blends ninja-style melee and modern gunplay. Brutal, action-packed story of ex-mercenary Ivan.